Your skin is a BIG DEAL! We’re often quick to forget that the skin is the largest organ of our body. Not only the largest organ, but also one of the most unique and multi-functional. Working as a flexible, watertight, temperature regulating barrier between us and the outside world our skin keeps us protected from harmful microbes and guards our body against extreme elements. Unlike other organs of our body, we can actually touch and feel our skin, and we see it staring back at us every time we look in the mirror. Maybe that’s the reason behind why the desire for glowing, clearer, younger and healthier looking skin is on the top of our beauty checklist. Checking out our skin health has almost become a daily part of our routine. While healthy skin can often glow and radiate vitality, unhealthy and poorly functioning skin also becomes visible which can affect confidence and self esteem. Common skin conditions such as Acne, Eczema and Rosacea affecting most of us at some point over our life time as well as dull, dehydrated and lackluster skin. Often skin that appears flat and unhealthy is a marker of underlying problems. The skin is the organ that visibly tells all. What if I were to tell you the answers to healthier looking skin could lie within your gut? The gut itself, although not pretty, is quite remarkable. I love the fact that researchers, scientists and doctors have for years been cleverly referring to our gut as our ‘second brain’ since buried deep down in our intestines are the very same cells and receptors found within the brain itself. This fascinating piece of biological engineering that we call our ‘second brain’ or our Enteric nervous system (ENS) house more than 50 trillion microbes which help to aid in your body’s overall gut health, digestive health and your body’s immune system. In fact, your digestive system is responsible for around 60-70% of your immunity and is where your hormones are metabolised; nutrients and detoxifying enzymes are made and those feel-good neurotransmitters (such as serotonin and dopamine) are created. The gut is also a wealth of bacteria (Microbiomes) of both ‘good’ and ‘bad’ varieties. It goes without saying that it's crucial to outweigh the bad with the good to obtain optimal digestive function. Research shows that ideally we should be aiming for the digestive system to retain around 85% of “good bacteria”, however most of us are falling short of this figure. In order for healthy or “good” bacteria to flourish the gut must be functioning optimally, but optimal function also comes from having the right balance of this bacteria. So how is this balance maintained? Without a healthy gastrointestinal system our body’s ability to absorb and retain vitamins, minerals and antioxidants from our diet becomes dramatically compromised. This can lead to a depleted immune system which left to work harder to keep our skin and body healthy and often results in inflammatory skin conditions like Acne, Rosacea and Eczema which in turn wreak havoc on our skin. I often describe to my clients that our skin is a map of what’s going on elsewhere in our body, a visible clue to our health and well-being. However, many of us do not give our gut or bodily functions a second thought when we think of our skin health, let alone give it the attention it deserves. Over time, even small imbalances in our gut microbiome (eg excess bad bacteria and less good bacteria) can manifest as symptoms of lackluster and dull skin, congestion and dryness. But it is often not until our skin really alters us with a break out of acne, a flare of rosacea or it it not responding to all our your skin treatments and serums that we actually stop to ask ourselves why? And then the next question how do we fix it? It will be nothing new to your ears when I mention probiotics. For years, we’ve been recommended to take probiotics by doctors and nutritionists and incorporate them into our daily diet (remember Yakult?). But what is all the fuss about and why does our gut love them so much? Probiotics are live microorganisms that provide health benefits through their action in the digestive tract. There are different groups of probiotics which are usually strains of bacteria and work to increase the “healthy” bacteria load in your gut. Probiotics are defined as a non digestible dietary substance that stimulates the growth and activity of healthy gut bacteria. You can find probiotics that are a single strain of bacteria or multiple strains, all of which can offer different benefits. Some probiotic rich foods include yoghurt as well as bacterial fermented foods like sauerkraut and kombucha. Regular doses of probiotics can also work to treat gut conditions such as irritable bowel syndrome as well as provide the right environment for healthy skin. Think of probiotics as adding in extra healthy gut loving bacteria to restore healthy balance to the gut. To confuse the issue more, we also encounter prebiotics when we think about optimising gut and skin health. Prebiotics differ in that they are, to simplify the matter, like dietary fibre. Prebiotics are found in dietary fructooligosaccharides (yes this is a real word) and complex carbohydrates, but it is important to remember that not all dietary fibre is prebiotic. Prebiotics cannot be digested, so when they are consumed they travel through the digestive system and work to feed and fertilise the healthy bacteria and microbes within the gut. They are basically fermented within the gut. Prebiotics can therefore be thought of as food for your healthy gut. Pre and probiotics are essential for healthy digestion and by supplementing them as necessary we contribute to healthier gut functioning. They help to optimize the digestion and absorb nutrients and minerals from our food while at the same time supporting our body's detoxification process and eliminating toxins helping to ease the burden on your liver. They work hard to strengthen your gut wall and prevent any unwanted substance from entering your body and provoking an immune response. The end result of a healthy pre and probiotic balance is decreased inflammatory skin conditions and stronger, more resilient skin. Here at Youth Lab we believe in working simultaneously with both internal and external skin health while incorporating all aspects of your lifestyle into our treatment plans to deliver the best possible results for you and your skin. Over recent months both our team and our clients have fallen in love with the superfood and dietary supplement range The Beauty Chef. We have since introduced the range into the clinic with excellent results so far. Carla Oates, the founder of The Beauty Chef lives, eats (literally) and breaths her now globally recognised philosophy of ‘beauty begins in the belly’ and believes the first step to achieving a radiant and healthy skin is by balancing your digestive health. This unique range comprises of powerful gut boosting elixirs and powders derived from organic and biodynamic whole food sources that are jam packed with probiotics, flora culture, enzymes and nutrients. These patented formulas created by microbiologists and nutritionists are designed to be incorporated into our daily diet and lifestyle routines. For the most part of my adult life I've struggled with the classic digestive troubles that I'm sure most of you reading this are familiar with. Problems with bloating, stomach cramps, that heavy and lethargic feeling after eating (no matter what or how healthy you eat) and years of limiting food groups in trials trying to find answers. I turned to The Beauty Chef in one of those “oh well, I might as well give it go I’ve tried everything else” moments and I haven't looked back. I started off my Beauty Chef and digestive health journey on a 14 day digestive cleanse plan with their appropriately titled “Cleanse” powder. This advanced super-greens supplement contains more than 35 organic, bio-fermented ingredients working synergistically to support the body’s natural detoxifying processes and helps to create a perfect balance within my gut. After starting the “Cleanse” powder I then moved onto the “Glow” powder. Enriched with bio-fermented superfoods plus naturally occurring pre and probiotics the bestselling ‘Glow’ powder has been a fixed part of my morning routine for around 18 months now and I couldn't imagine life without it! ‘Glow’ is my daily go to for maintaining my digestive health along with supporting skin rejuvenation and boosting collagen synthesis. Alongside these daily powers are The Beauty Chef’s delicious Inner Beauty Boost Elixirs with 3 delicious flavours to choose from. It is a constant source of debate between the YL team over our favourite Beauty Boost and my favourite changes frequently. We offer these Beauty Booster’s as a delicious addition after our dermal treatments to enhance the results of our therapies and give a little treat to all of our clients. These Beauty Boost concentrates are designed to support and enhance other Beauty Chef products or can be used by themselves to target specific skin concerns (see the product descriptions below). Just a capful into a glass of water not only gives your water a great taste thus encouraging you to drink more, but also increases antioxidant levels, boosts hydration and improves collagen renewal. But the question is which one will you try first - Collagen, Hydration or Antioxidant? What Does The Beauty Chef Offer? Glow Inner Beauty Powder - An essential daily blend of bio-fermented and probiotic superfoods. Works to support gut health and skin rejuvenation, delivering healthy and glowing skin. Cleanse Inner Beauty Powder - Cleanse is the perfect introduction into the Beauty Chef range. It is a starting point for skin detoxification and can help clear congested and problematic skin by supporting liver and digestive function. 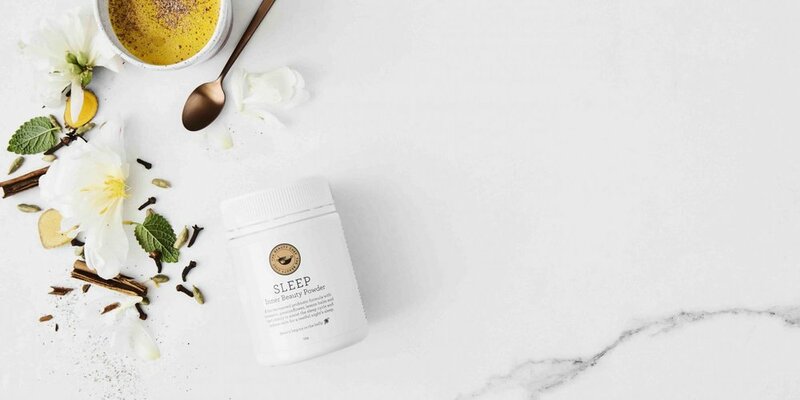 Sleep Inner Beauty Powder - The perfect supplement to take at night time to promote a restful and soothing sleep. It has been formulated with natural sedatives to sooth nerves and relieve anxiety while boosting antioxidant levels which nourish the skin and gut. Hydration Inner Beauty Boost - The perfect option or anyone with dehydrated skin that looks dull and has lost its plump radiance. This works to boost cellular hydration, restore electrolyte balance and gives a boost of probiotics to support gut health. It is infused with coconut for a sweet treat. I love it after exercising to restore my hydration levels. Collagen Inner Beauty Boost - This is our most popular product, especially after a relaxing hydrafacial. It is suitable for anyone concerned about ageing changes and loss of skin elasticity, poor texture and tone and fine lines. Collagen helps to encourage the skin’s natural collagen production to support skin structure and contains delicious bio fermented acai, papaya, blueberries, gogi berry and pomegranate powders to name a few. Antioxidant Inner Beauty Boost - This is a product packed with probiotics and antioxidants from papaya and works to fight free radical damage in the skin as well as supporting gut health. It is for those with dull, sun damaged skin or for those who need an immunity boost and extra antioxidant support. This is the perfect addition when you are feeling stressed, run down or need a little immune support. Ultimately supporting my digestive health not only saw me see an end to my irritating digestive symptoms but I really started to notice an improvement in my overall skin tone and texture. I was achieving that dreamily radiance I had been longing for. The stronger hair and nails were just another added bonus. So whether you're someone who’s skin conditions such as sensitivity, rosacea, eczema or acne is an ongoing battle; or whether you are concerned about ageing changes and loss of your previously healthy skin glow; or even if you just want to achieve flawless skin; then there is something in the Beauty Chef range for you. I feel that everyone can benefit from a little Beauty Chef in there lives, after all who wouldn't want healthier skin? Teaming a Beauty Chef routine up with the very best of cosmeceutical skin care and a healthy lifestyle we’re surely onto a skin health winner! We are more than happy to discuss the addition of these gut loving products into your existing skin routine, simply ask when you are in the clinic next. Newer PostBBL Vs IPL Photorejuvenation - What's The Verdict?